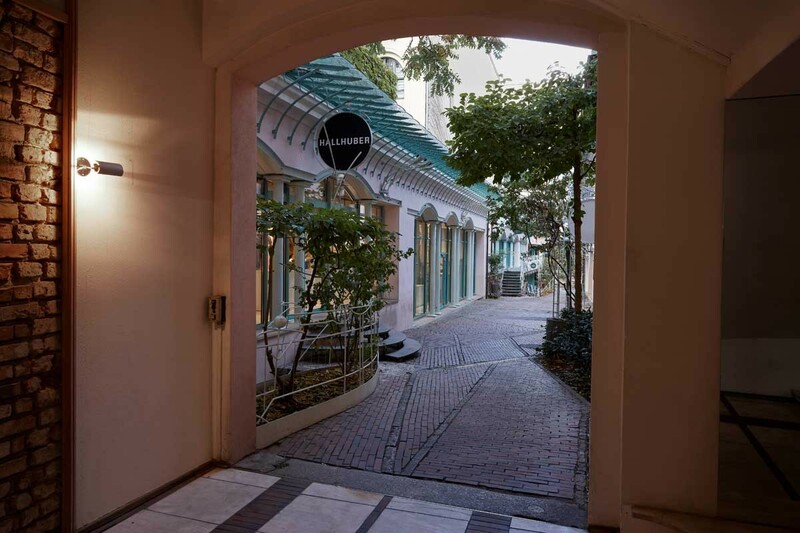 Das Highlight im 200m² großen Ladenlokal ist der runde Ausschnitt, den der Lival Strahler GA-016 mit seinem kreisförmigen Lichtstrahl spielerisch an die Wand dupliziert. Er führt in den Umkleidebereich, der gleichmäßig ausgeleuchtet eine schnelle Orientierung bietet. Spots in den Kabinen sorgen für die richtige Helligkeit in einer optimalen Farbwiedergabe. Convincing lighting effects on all levels. 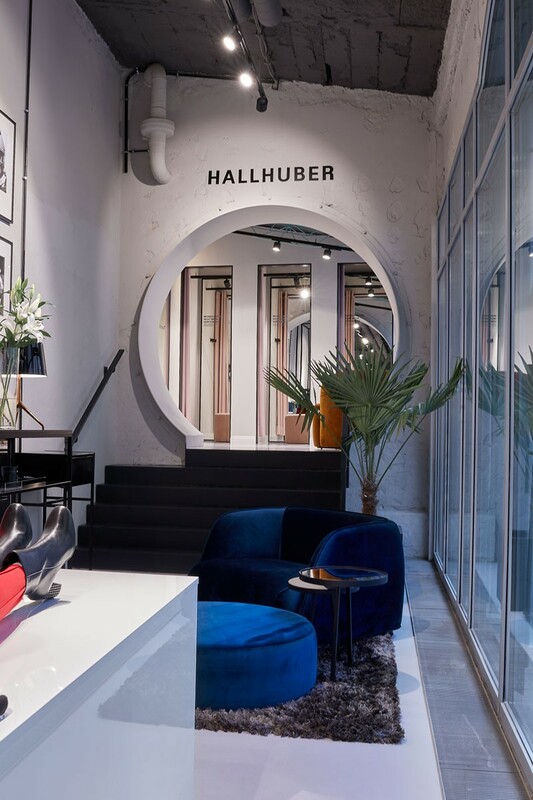 The new Hallhuber Store in Berlin's Rosenhöfe has a lot to offer – not only in terms of architecture but also regarding its lighting technology. 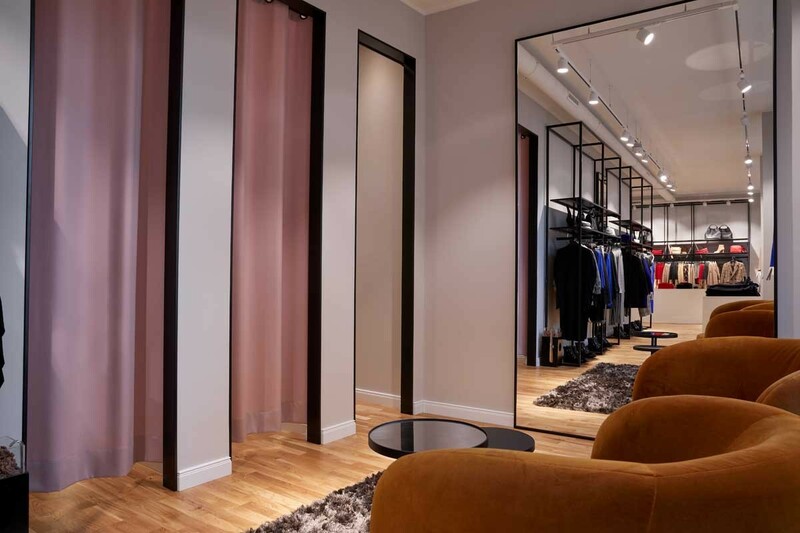 A narrow-cut corridor and an almost 40-meter-long window front make this store’s outline a very special one. 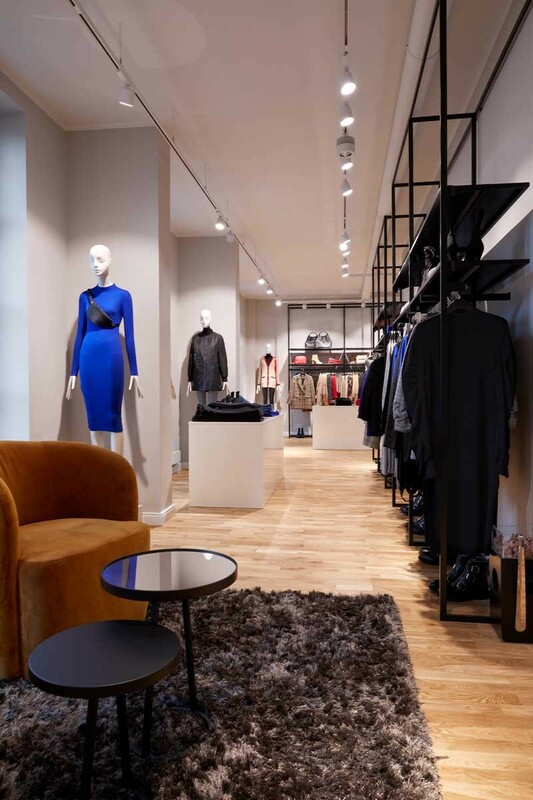 Specially designed shelves fit harmoniously into the store concept, the stairs split the wide space into various levels, all this contributes to the modern loft character. 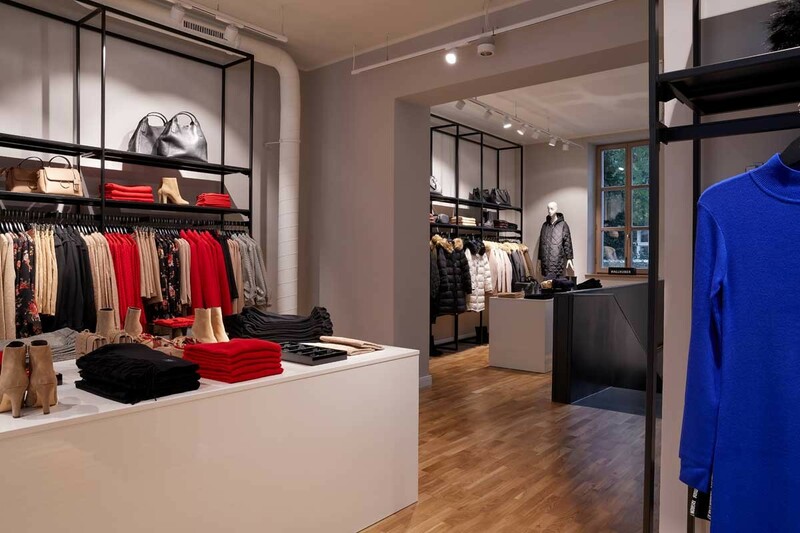 Pleasantly restrained and stylish is the power track configuration with Lival spotlights, which is ideally integrated into the ceiling. 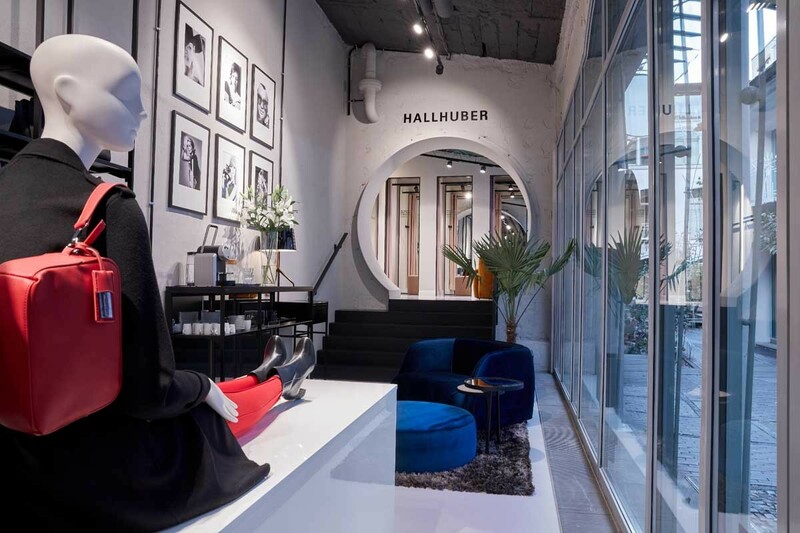 "The aim was to direct the customer’s attention the garments," says Tim Martin, key account manager at lichtbasis and project manager for the lighting solution in the Hallhuber store in Berlin. 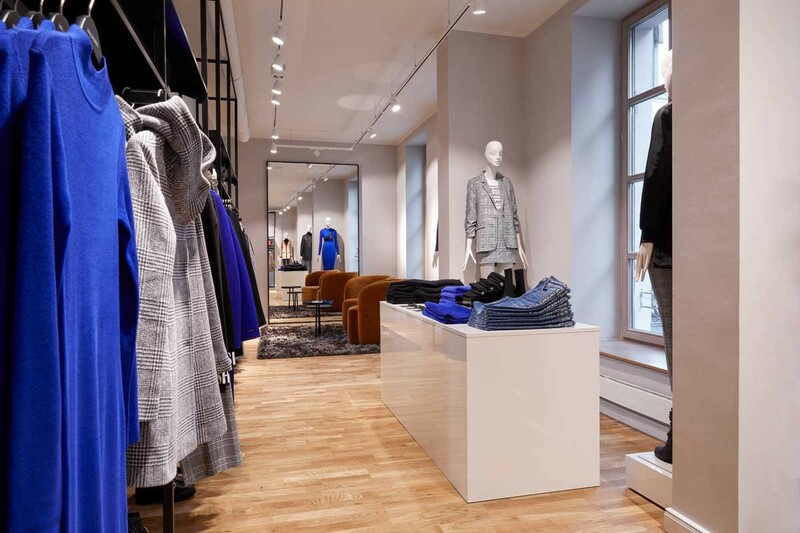 "Light colours around 3000 K and a CRI >90 present the colours of the clothes bright and pure. 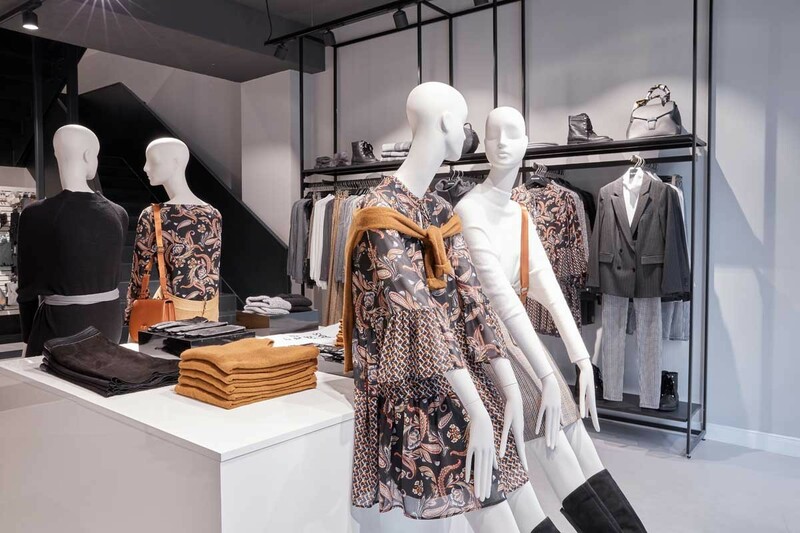 The flexible alignment of the spotlights allows an exciting play of light and shadow on the wall and nicely stages the latest fashion trends." 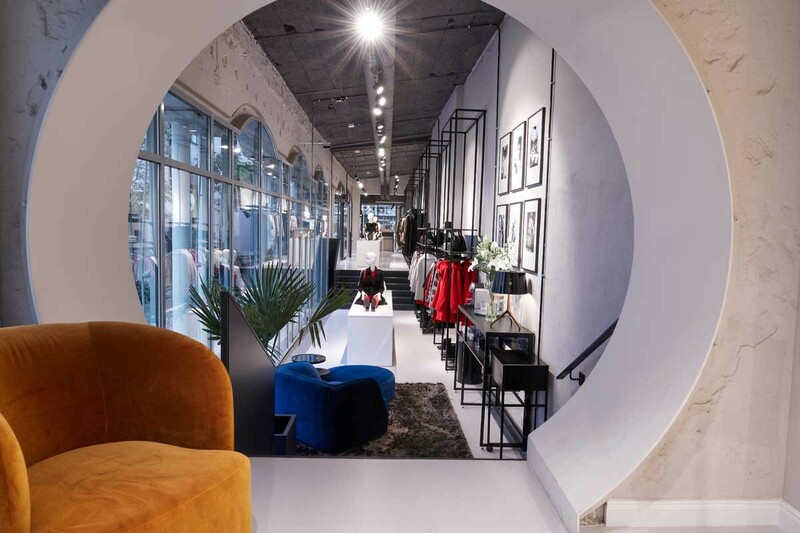 The highlight of the 200 m² store is the round wall cut, which the Lival spotlight GA-016 with its circular light beam playfully duplicates on the wall. Evenly lit it provides orientation and show the way to the changing room area. Spots in the cabins ensure the right brightness in an optimal colour rendering.